We diagnosed a 26-year-old male, Mr C, with the obvious male pattern thinning which we found was early onset. Our microscope had discovered an interrupted hair cell and hair cycle. He described seeing hair loss, receding hairline and thinning on the crown. His father had hair thinning in the typical pattern, which it did not start until well into his 30’s. 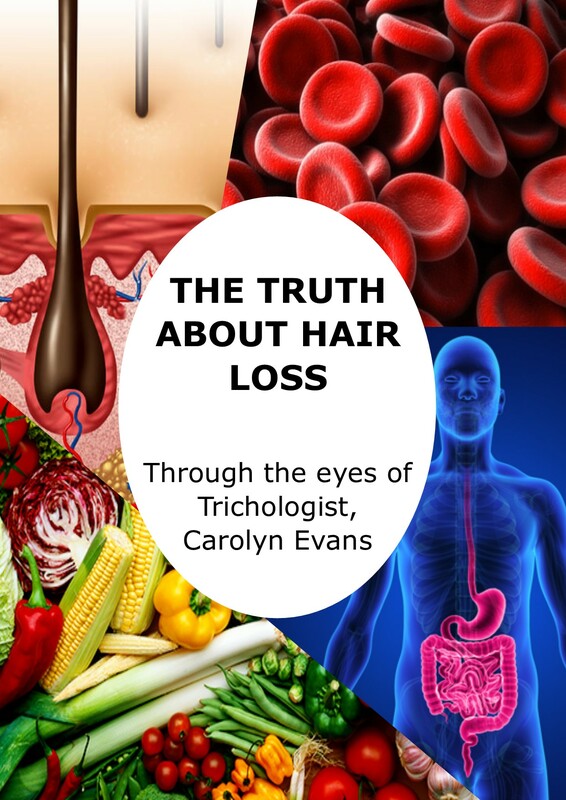 Pattern thinning begins at an earlier age, termed ‘early onset’ when the hair cell and hair cycle are not functioning normally meaning, the cells immunity is compromised. Mr C appeared to be a healthy individual but, an in-depth consultation and blood work uncovered poor sleep, eating habits, stress and highs and lows in nutritional elements. These types of seemingly normal everyday things, even over a short time, can affect health and in turn hair. We decided on a simple Hair Loss Treatment plan to start with, then later worked our way up to and into the full Absolique Hair Loss Treatment program, with impressive results and most importantly, improved health. First step – Mr C’s main concern was to stop the hair thinning so we went with simple topical prevention, with Absolique’s Basic Topical hair thinning treatment – Scalp Brush Therapy, Absolique Scalp Cleanser and Activance Practitioner. Basic Topical replaces your hair washing and is performed every second day or 3 times a week. 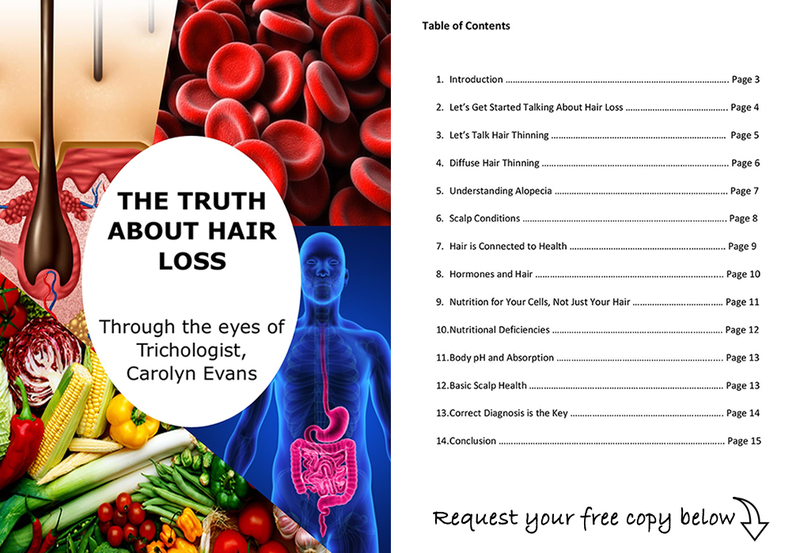 Digital tracking at 4 months showed the pattern hair thinning had stabilized and improved. Second step – Happy with positive results, Mr C now wanted to re-grow hair at recessions. So we added Absolique’s Hair Cell, Hair Cycle and MPT topical – Scalp Tonique, Absolique GRN and PG Free Minoxidil. This is incorporated into Absolique Basic Topical and is also repeated every second day or 3 times a week. Absolique unique microscopic tracking began along with original digital photo tracking. Third step – Results were improving further and Mr C had made many health and lifestyle changes based on his knowledge from pH testing. Bloods test results still showed some highs and lows and microscopic tracking still uncovered some hair cell problems in terminal area. Nutrition was discussed and the decision to progress to the level of cellular support was made, so Nutritional Therapy begun. Fourth step – maintenance. We share this story to demonstrate how a little can deliver stability and some results, but progressing further into Absolique Combination Therapy can make a positive impact on hair health and hair growth. Usually, going in with full combination therapy in step one within the first four months of hair thinning treatment so it is encouraging and impressive to see and share such and outstanding results by adding in nutrition and lifestyle changes overtime. Contact Absolique Hair Health Clinic Sydney for more information on Hair Loss Treatment for Men Sydney, Results. You can share your hair loss, hair thinning and scalp concerns with Trichologist Sydney by emailing info@absolique.com.au or call our friendly reception team on 02 8014 6916.